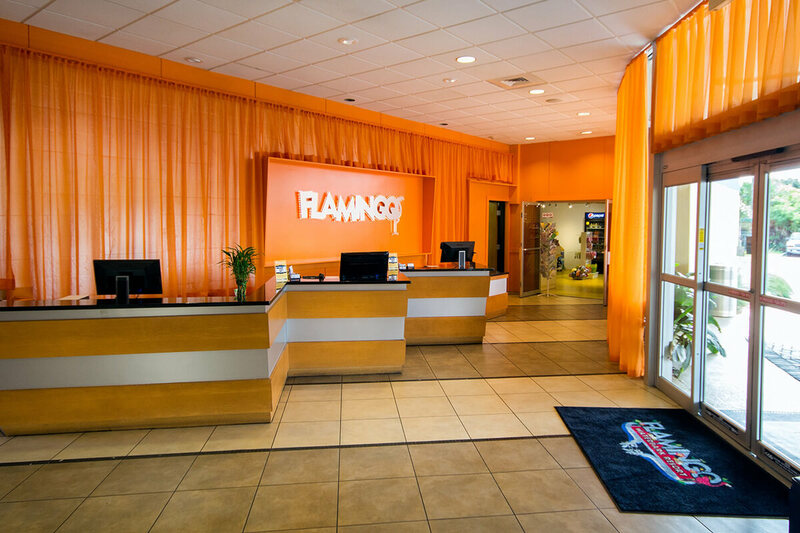 FLAMINGO RESORT One of a kind full-service hotel and resort inspired in tropical theme décor, fun and adventure, with a state-of-the-art kids and adults waterpark in the heart of the property. 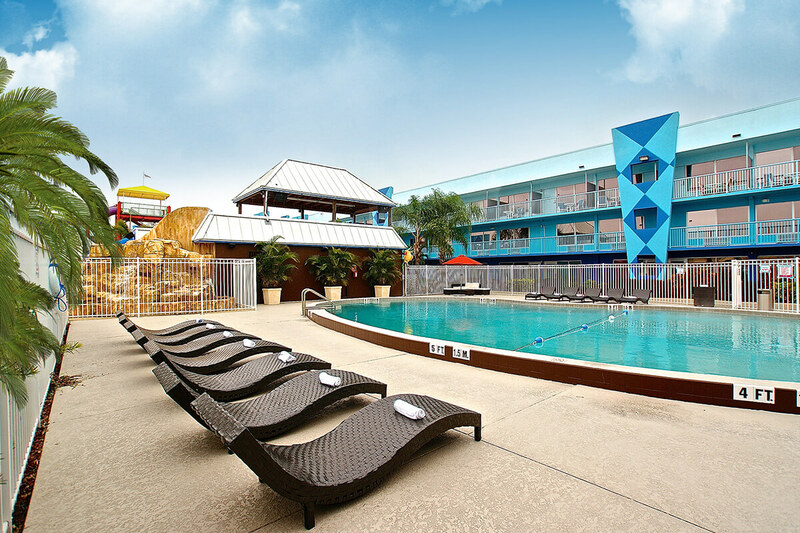 Amenities: Conference center, 2 restaurants, 3 bars, ballrooms and event patio, state-of-the-art waterpark, 2 swimming pools, teen activity area, children's playroom, spa, gym and gift shop. 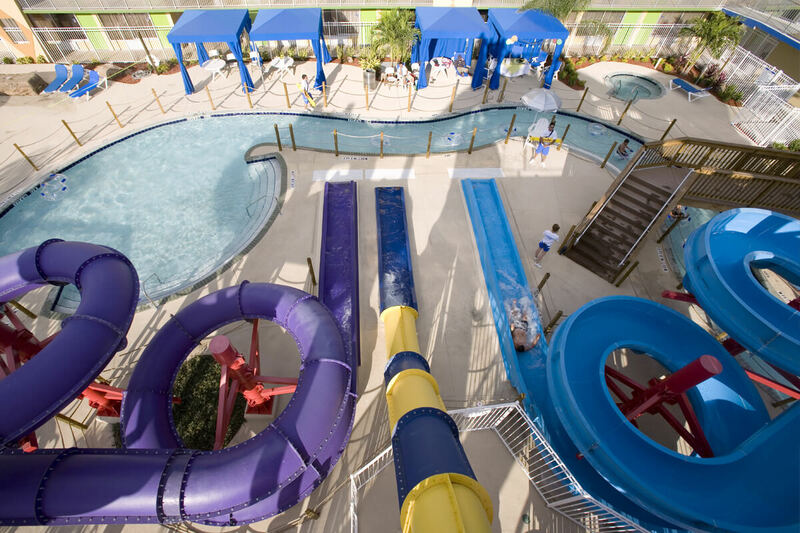 Location: Located 5 minutes from Downtown Kissimmee and 15 minutes South of Orlando. Size: A 120,000 square feet property with 6 buildings that encompass 247 rooms. 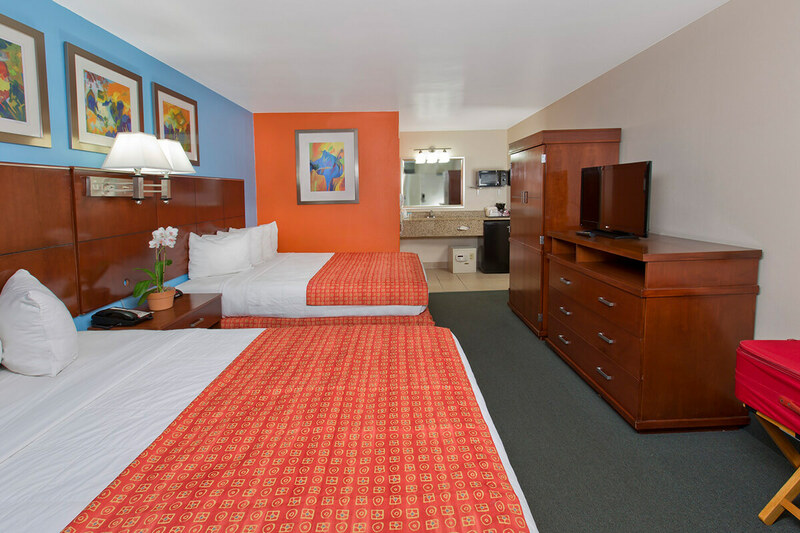 Visit us: 2261 E. Irlo Bronson Memorial Hwy, Kissimmee, Florida. 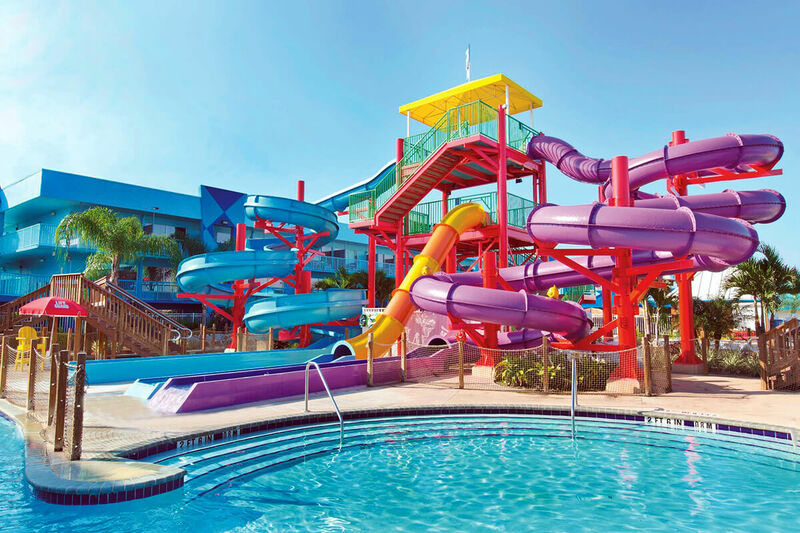 One of a kind full-service hotel and resort inspired in tropical theme décor, fun and adventure, with a state-of-the-art kids and adults waterpark in the heart of the property.